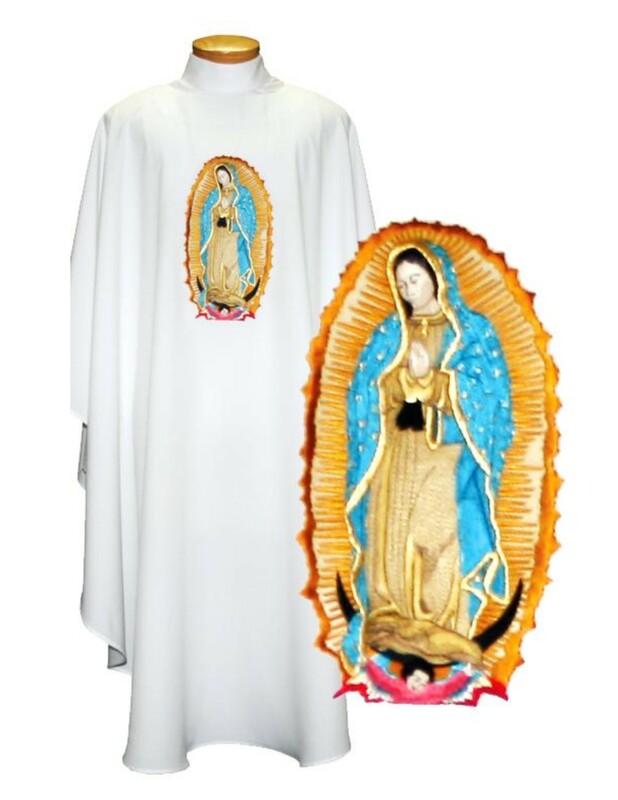 Embroidered Chasuble featuring Our Lady of Guadalupe. Ample Cut. Lightweight. Wrinkle-free, Textured Fortrel Polyester Fabric in a Linen Weave. Available with Embroidery on the Front and Back, or Front Only.